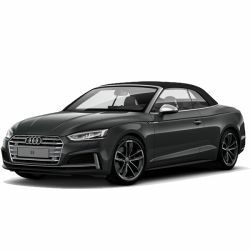 The Audi A5 is available in three body styles, including the Coupé, Sportback and the Cabriolet for those sunnier days. The range is sleek and sporty, with an instantly recognisable look. With performance S and RS models offering V6 and V8 engines, you’re sure to find your perfect car in the range. The new Audi A5 Coupé is sharper and more focused, with technology inside that brings it right up to date. This 2-door Coupé comes with parking system plus, cruise control and pedestrian detection. There’s much more to the 5-door A5 Sportback than stunning looks alone, it also provides its owner with the beauty of practicality. The A5 Cabriolet has an unmistakable profile, combining beautiful lines and premium specification for an exceptional driving experience.